Never worry about lost or compromised credit cards again. Lodgical SecurePay is a payment processing application that integrates with Lodgical Solution and Lodgical POS, as well as third-party applications, such as other POS (Point of Sale) systems. Through Bay Lakes’ partnership with DishOut, Lodgical SecurePay securely transfers your customer’s credit card information to the TRXvault payment gateway. TRXvault then sends back a token of non-sensitive information. Your customer’s credit card information is never stored on your computer, greatly reducing your risk of hacking. Lodgical SecurePay is PCI-certified, meaning it meets industry standards for payment security. 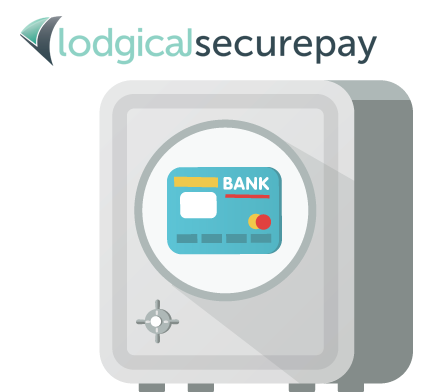 PCI is the security standard that the payment brands require merchants to adhere to, and failure to comply with PCI standards can result in fines, penalties or the termination of a merchant’s right to accept credit card payments. Bay Lakes also offers a version of Lodgical SecurePay that interfaces with EMV (Europay, Mastercard and Visa) devices. EMV is a new payment standard that features credit cards with chips, instead of or in addition to magnetic strips. This version of the software goes one step further, featuring true point-to-point encryption. Lodgical SecurePay supports the Ingenico iSC Touch 480 and the Ingenico iSC Touch 250 payment devices.